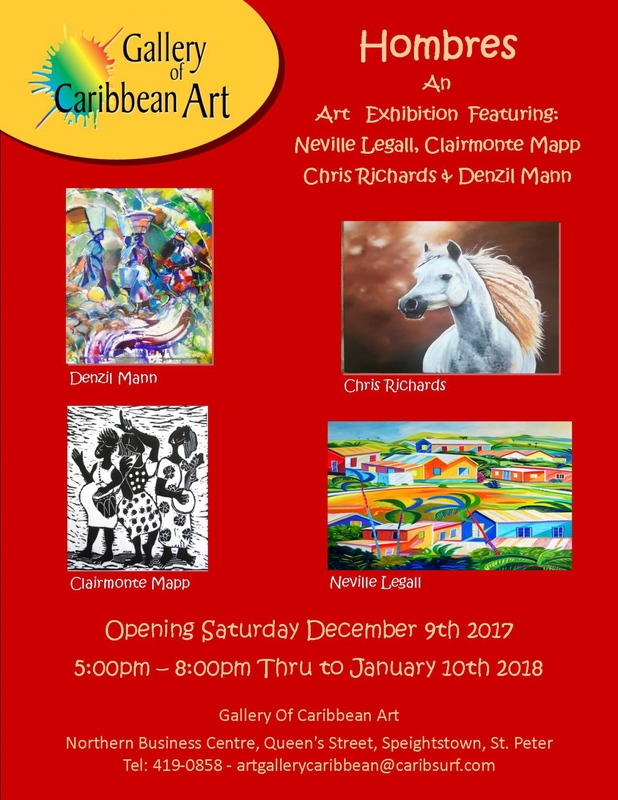 The Gallery of Caribbean Art is pleased to present 'Hombres' an exhibition featuring artists Denzil Mann, Neville Legall, Chris Richards and Clairmonte Mapp. The exhibition opens on December 9th 2017, from 5-8pm and will run until January 10th, 2018. The Gallery of Caribbean Art is located at the Northern Business Centre, Queen Street, Speightstown, St. Peter. Tel: (246) 419-0858. Open Monday to Friday 10am to 4pm, Saturday 10am to 2pm.